Venom had the (dis)honor of having his big screen debut in the well-meaning, but very flawed Spider-Man 3 in 2007. Now, eleven years later, the Spider-Man villain turned anti-hero is set to headline his own movie starring Tom Hardy as Eddie Brock and the toothy title character, arriving this Friday, October 5th. While this weekend will only mark Venom’s second appearance in a feature film, he’s been featured in numerous video games since the very early ’90’-s, appearing in more Spider-Man games than any other member of the wall-crawlers rogues gallery. With close to three decades of appearances in various video games, Venom has had a lot of notable firsts, from his first appearance in a humble Game Boy game, his first time as a playable character and the first – and only – time he technically got billing over Spider-Man. The first time Venom was seen in a video game was the 1990 Game Boy title The Amazing Spider-Man from developer Rare and publisher LJN. Venom is the last boss in the game and Spider-Man must trudge through a sewer filled with deadly alligators and goons waiting on pipes to drop down and attack him. At the end of the stage, Venom will attack you by moving up and down on a web-line, hurling massive web-projectiles at Spider-Man. Defeating the duo of Eddie Brock and his deadly symbiote reunites Spider-Man with his wife, Mary Jane. The Amazing Spider-Man on Game Boy is maybe best known for its before level radio conversations between Spider-Man and whatever villain he’s going to come up against in the upcoming level. 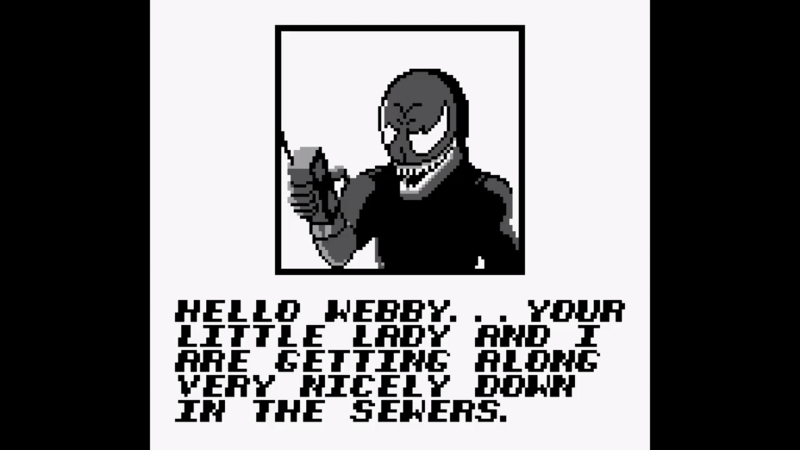 It’s in the conversation with Venom before level six that Venom delivers his first lines ever in a video game, albeit via text with no accompanying voice. It must also be noted that Venom incorrectly refers to himself as “I” instead of “we” in this game, and this is true for the first time we ever hear the character speak in a video game as well. Based on the event comic series, even going as far to use the panels of the comic to communicate its story, Maximum Carnage marks the first time players could control Venom in a game instead of fighting him. Playing as a side-scrolling beat-em-up, Venom played very similar to Spider-Man only he was a lot stronger, but less nimbler than the former host of his symbiote. Spider-Man uses his webs to do things like create shields and snare enemies, while Venom prefers to use his alien other for these functions. 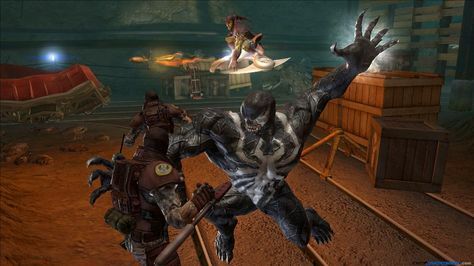 Venom will also kick enemies when swinging through stages, which is a useful tactic for defeating a robot in the Fantastic Four tower level and accessing one of its secret rooms. Both characters could build up to a devastating “Power Hit!” move, and whereas Spider-Man only could clear the enemies directly in front of him, Venom unleashed a devastating ground pound that affected everyone on-screen. 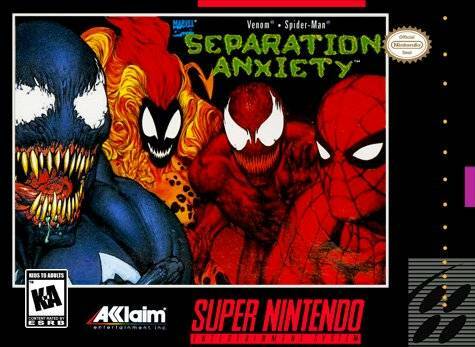 The “*” is present because most people will just call this game Separation Anxiety, but going by the full title, Venom’s name appears before Spider-Man’s which it didn’t in Maximum Carnage. There’s a few others things that make this more a Venom game than a Spider-Man game, firstly being the source material. Separation Anxiety’s story is an amalgamation between the Venom limited series Separation Anxiety and Lethal Protector, but it has more in common with Lethal Protector where Venom and Spider-Man have to team-up to battle the Life Foundation that have forcibly harvested symbiote spawn from Venom. If the Life Foundation sounds familiar, it’s because parts of the story of Lethal Protector have made their way into the Venom film, and the Life Foundation are mentioned by name in the film’s trailer. Separation Anxiety wasn’t received as well as Maximum Carnage, but it did have a few things going for it that further sell this as a Venom game. For one, Venom could be chosen as a playable character from the start whereas in Maximum Carnage you had to play a few stages as Spider-Man before you could switch to Venom. 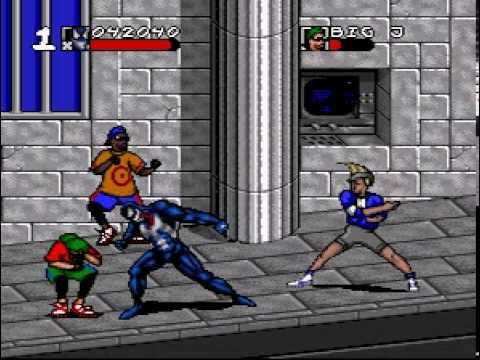 The game is also noticeably easier when playing as Venom by your lonesome as like in Maximum Carnage, he does far more damage than Spider-Man. The Ultimate Universe, which debuted in 2000, updated various Marvel Comics properties for the new millennium and some characters, like Venom, got a radically overhauled origin. There was still a symbiote that bonded with a host, but instead of having its origins in the creation of the universe – see the new ongoing Venom series – the symbiote was a product of the resarch performed by Eddie Brock and Peter Parker’s parents as a means to cure cancer. The plot of Ultimate Spider-Man is a continuation of Ultimate Venom’s origins from the comics that was canon before its story was rewritten for the Ultimate Spider-Man comics proper. Venom in Ultimate Spider-Man is both a boss you can battle as Spider-Man as well as a playable character. Unlike Maximum Carnage though, Venom is far more than a more powerful version of Spider-Man, playing more like the Hulk than a darker twin of Spider-Man. Venom can’t swing in Ultimate Spider-Man with his locomotion mainly being a super jump that gets him to the top of most buildings. Venom can also hurl items as large as cars and tanks at enemies and bosses. A concept from the comic that made its way into Ultimate Spider-Man is that the Venom symbiote needs to be fed DNA, else it consumes its host completely. How this translates into a game mechanic is that you wear down your enemies and then effectively “eat” them, which is one of more horrific things to ever happen in a Spider-Man video game. Most people associate Venom with his first host post Peter Parker, Eddie Brock, but the symbiote has also bonded with other characters, including Mac Gargan, AKA The Scorpion. 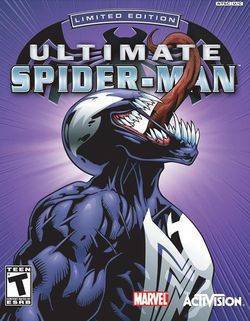 With most Marvel video games, Spider-Man or otherwise, it’s either stated or assumed that Eddie Brock is Venom, but in the action-RPG dungeon crawler Marvel Ultimate Alliance 2, it’s Mac Gargan under the protoplasmic goo. 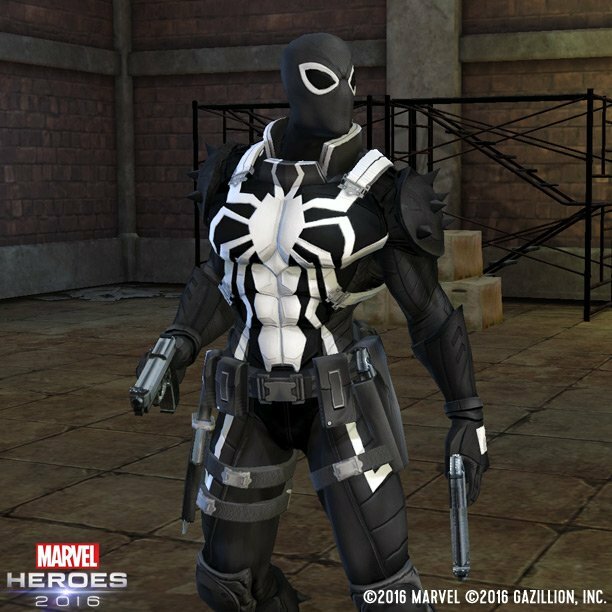 Once again Venom is a playable character you can recruit to your party of heroes and villains. During the period of time in the comics when the Venom symbiote was bonded to other individuals, Eddie Brock took up other personans, one of which was Anti-Venom. Eddie becomes Anti-Venom when the villain Mister Negative inadvertently charges remnants of the Venom symtiote in Eddie’s system, granting him a white symbiote with a black spider emblem and the power to heal. Said healing power even had the ability to “cure” Spider-Man of the powers given to him by the radioactive spider bite. Eddie Brock appears in his Anti-Venom persona as one of the few villans in the Spider-Man: Shattered Dimensions sequel, Edge of Time. The game opens with a battle between Spider-Man and Anti-Venom with Spider-Man on the verge of death in the battle. The game’s plot is a race against time as the Spider-Man of the present day and Spider-Man of they year 2099 have to stop this from ever happening. 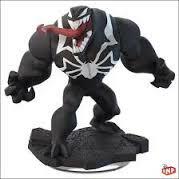 Venom was one of the extra figures you could buy for the toys-to-life video game, Disney Infinity 2.0 ,and could be used in that game’s toybox creation mode as well as the play set inspired by the Ultimate Spider-Man animated series. What’s interesting about the take on Venom in Disney Infinity is that is never states exactly who the symbiotes host is. 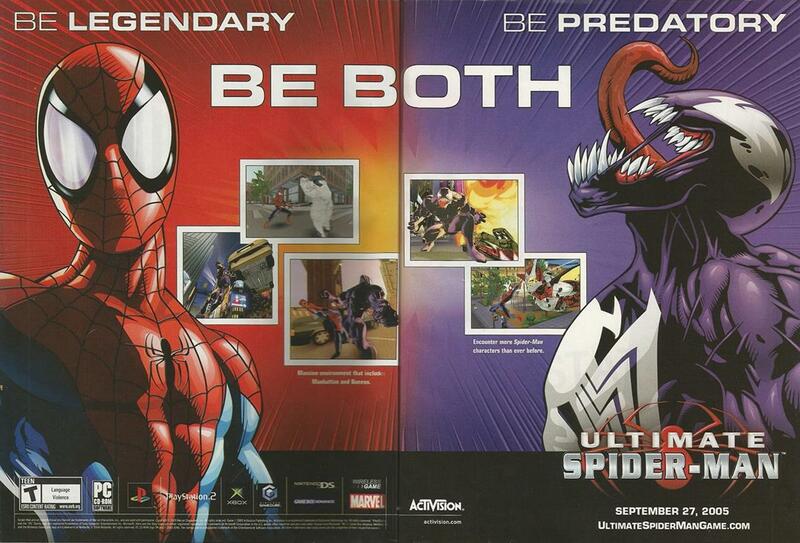 In other games it was either Eddie Brock, or as it was in the case of Marvel Ultimate Alliance 2, Mac Gargan. In the opening cinematic for the play set, Venom escapes from the clutches of Green Goblin, Doc Ock and Mysterio, vowing revenge against his captors and referring to himself as a single entity. J. Jonah Jameson can be heard reciting anti-Spider-Man propaganda as you explore the small open-world, and if you play with Venom, he mentions how Spider-Man is teamed up with the villain and we have no idea who it is this time. As to why it’s never stated who the symbiotes host is, it’s more than likely due to the source material. The Venom symbiote jumped from host-to-host in Ultimate Spider-Man and started out being attached to Harry Osborn who normally turns into some version of the Green or Hobgoblin and not a Venom host. Before it was sadly shutdown, the first ever Marvel MMO, Marvel Heroes, was the first game that allowed players to use multiple versions of Venom. Not only did Eddie Brock appear in the Venom, Anti-Venom, and Toxin Symbiotes, but Agent Venom made an appearance as well. Agent Venom was a heroic take on the Venom character who is normally a villain at worst, and an anti-hero at best, when the symbiote is bonded to Peter Parker’s former high school bully, Flash Thompson.